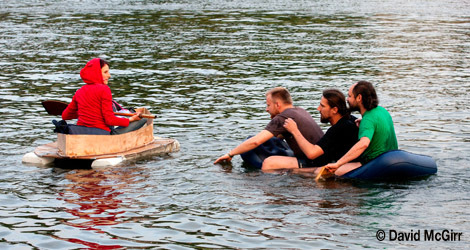 A mini armada invaded Krakow under the command of local artist Cecylia Malik – as part of the ArtBoom festival. 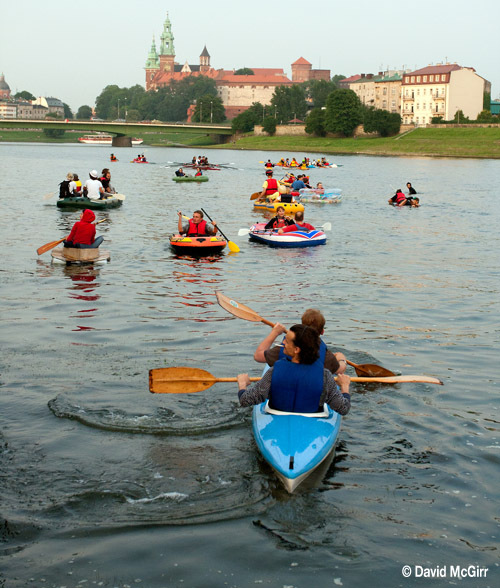 Canoes and inflatables splashed about in the River Wisła next to the Dębnicki bridge, before making a short trip to the premiere of Malik’s film Six Rivers, on a screen erected beneath the Grunwaldzki bridge. Malik, with Piotr Pawlus, made the movie about the Wisła, and the other waterways in Krakow – Rudawa, Prądnik, Wilga, Dłubnia and Kościelniki.